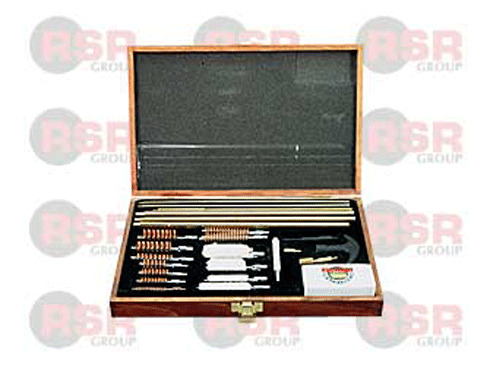 Deluxe 35 piece gun and rifle cleaning kit with Wood storage box. 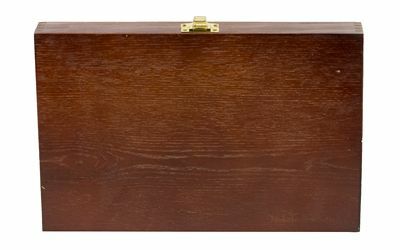 Real wood storage box with flocked tray. Fits majority of all shotguns, rifles and pistols.